The first smartphone showed up in 1994 and was known as Simon. It was upgraded in 2000 when Ericsson released the first flip phone style called the R380. Then, along came the Palm Treo (2002), Blackberry (2003), the category killer iPhone (2007) and the Samsung Galaxy (2010). Fast forward to today where the latest research shows 77% of people in the US now own a smartphone. 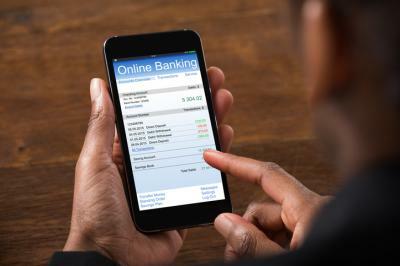 Mobile banking too has become standard procedure in all corners of America, yet signing up for a new account on smartphones is still uncommon. According to a 2017 Javelin survey of the 30 largest banks in the US, only 8% of customers were able to complete the account enrollment process from start to finish on their phone. That is despite the fact that close to 33% started it there. The study of 1,400 consumers showed 34% successfully opened an account on desktops and 65% completed the process the old-fashioned way after going to a branch. Mobile onboarding consists of a series of phases including comparison of options, the start of the process and providing documentation. With each phase, complications can derail things and frustrated applicants may switch channels. Some may leave the bank for good. According to Mitek Systems, 20% of failed enrollments happen when the bank obliges people to go to the local branch. Impatient millennials drop out, as do rural customers who live far away from a bank branch. Community banks have an opportunity here as some big banks are not rushing to fix the issue. Millennials are routinely invited to branches because they have thin credit lines and they may not have much of a track record. Community banks could seize the chance to make these new customers a better offer - a comprehensive, seamless end-to-end mobile enrollment. A few foreign banks are on the forefront of this trend. BMO in Canada created a platform with GMC Software that detects the arrival of a new mobile customer and sends him on a smoothly tailored path. BMO promises that the account opening typically finishes in less than 8 minutes. Spanish bank BBVA and India's Federal Bank also provide a quick enrollment process. Back in the US, a community bank in MA joined up with a fintech partner to gain a unique mobile onboarding experience. To be quick and efficient while preventing fraud, this bank asks a customer to snap photos of ID documents and take a selfie. Then, facial recognition software matches the driver's license picture to the selfie, which can be more precise verification than even with a bank teller. There is also a comparison of a QR code on the back of a driver's license with the information printed on the front. Community banks with mobile bank systems should consider stepping up their efforts with mobile onboarding. Along these lines, a recent CEB Gartner meeting with bank executives and digital technology providers found it is important to know that the mobile onboarding process is not necessarily the same as it would be in the branch however. Remember to think about your potential customer in the comfort of their office or home. They do not have the same resources you have in the branch when opening an account so you need to adapt your offering. To make things easier, don't forget to lay out the exact steps needed to complete the process for the customer. That will remove any confusion over the process and indicate the time commitment needed. Lastly, make sure to have customer service available as needed, so customers don't logoff without completing the process. Tracking your customer along the mobile onboarding process will be critical for successful completion. Community banks certainly have a window of opportunity with mobile account opening. Including a high level of customer service can give community bankers a way to leverage this advantage into mobile banking. Just provide customers with touch points they need to successfully open accounts from their phones and you are on your way. It may be a slightly new way of thinking, but it could pay off nicely. Yields ended unchanged with mixed economic data. A survey by RMA of banks focused on data quality finds 90% of respondents say their organizations have either developed or changed their data management strategy in the past 3Ys. A Bank of America Merrill Lynch Fund Manager Survey finds 84% say the US is the most overvalued market - a new record. A Bank Director survey of bank executives uncovers that 43% of respondents say they are willing to pay highly for talented commercial lenders. Only 9% said they felt their bank's compensation package wasn't competitive with other institutions. Research by Marsh & McLennan on cyber risks finds total annual cyber insurance premiums have reached about $2B and could increase to $20B by 2025. Digital payments company Market Platform Dynamics reports less than 5% of people who have a digital wallet (Apple Pay, Samsung Pay, Android Pay, Walmart Pay, etc.) actually use it because people are already happy with the way credit cards work and find them easy to use. Fed research finds 90% of mobile banking users will often check their bank account balance or recent transaction activity using mobile banking. An RMA survey of banks focused on data quality finds 57% of banks say their technology is not up to regulatory requirements. Executive Management Road Tour - Save with Tardy Bird! Missed the Early Bird pricing? Good news - you can still save $100 with our Tardy Bird price! Visit the website & register today.